I let books find me. One reason I never fully embraced the Kindle is that I don’t always know what I want to read. Sure, you can find anything in the world by typing a few letters into an e-reader but that’s not the same as aimlessly browsing titles on a Sunday afternoon. Serendipity is what’s missing from the e-ink experience, the happy accident of stumbling upon the right novel at the right time. Little Free Libraries are ideal for us serendipitous book browsers. 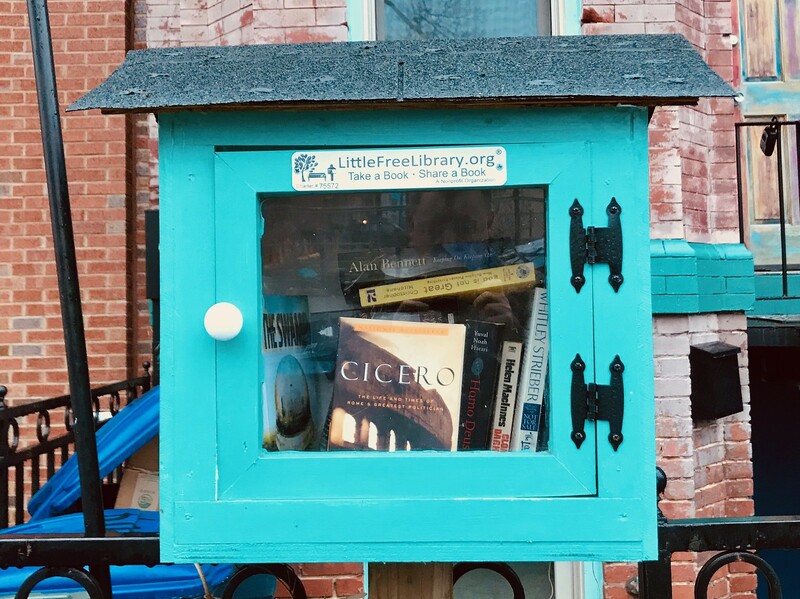 Located in every neighborhood in Washington, these little boxes offer literary surprises for readers. “Take a book, leave a book” is the motto of this nonprofit organization that fosters reading across the nation. I like to drop copies of my book, The Swamp, into Little Free Libraries in DC. And I almost always find something interesting to take home with me. The nicest Little Free Library in Washington is located at the top of a hill in Kalorama. Just a block from witless Jared and Ivanka, this bookish outpost is in a park, and offers a sunny bench to read your discoveries as dogs bark and children play. Dear Committee Members by Julie Schumacher was a free library find, a book I pulled from the box like literary treasure. The novel is a hilarious satire of academic life told through the endless letters of recommendation that Professor Jason Fitger is forced to write for students and colleagues. Each letter is inventive and unique; combined they tell a story of budget cuts, romantic humiliation and creative failure. Schumacher’s wry, ironic style reminded me of David Lodge, who satirized academic life in forgotten classics such as Small World. Free is a powerful attractor, drawing you to things you might never consider. But the world is full of free things to read. Selecting a book is an investment of time, not money. You never know what you’ll find in the free library – biology textbooks, romance novels, books by unknown authors. Finding something worthwhile, like Dear Committee Members, feels like an achievement, not just because you discovered something great, but also for participating in the great reading experiment that is the Little Free Library.